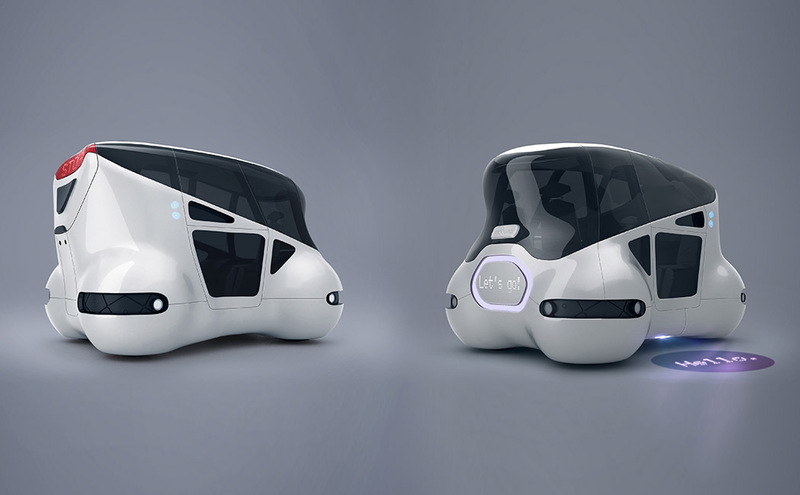 The Mobuno concept merges the best features of current transportation alternatives into one autonomous, carsharing system. A Mobuno unit can be instantly booked as easy as an Uber. Similarly, users can view the status, location and availability of vehicles directly on their smartphone. 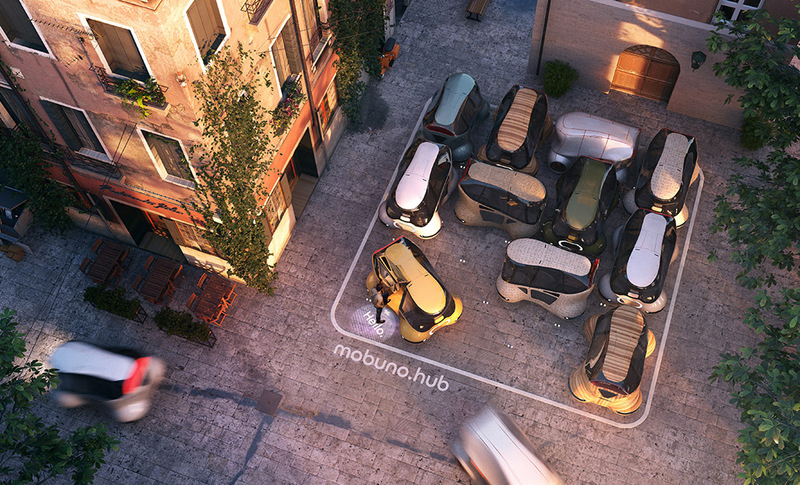 Each Mobuno unit can carry groups numbering up to 4 passengers. Better yet, larger groups can book multiple Mobunos at once. 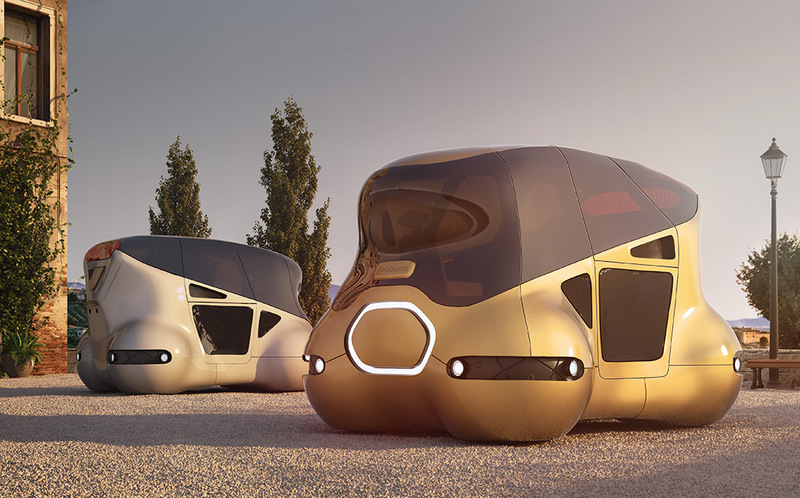 They will arrive and travel in tandem to accommodate any number of passengers. 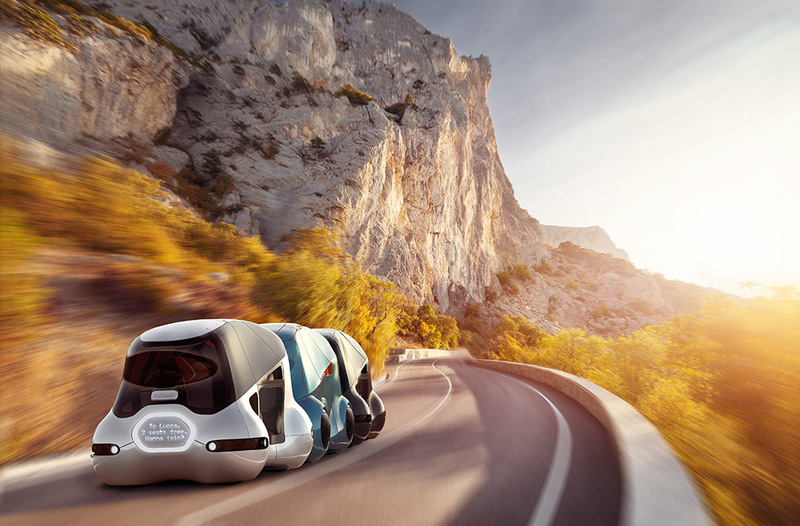 Additionally, those who don’t mind sharing the ride can switch to a sharing mode and the Mobuno autonomous vehicle will pick up passengers traveling in the same direction for a discounted rate. 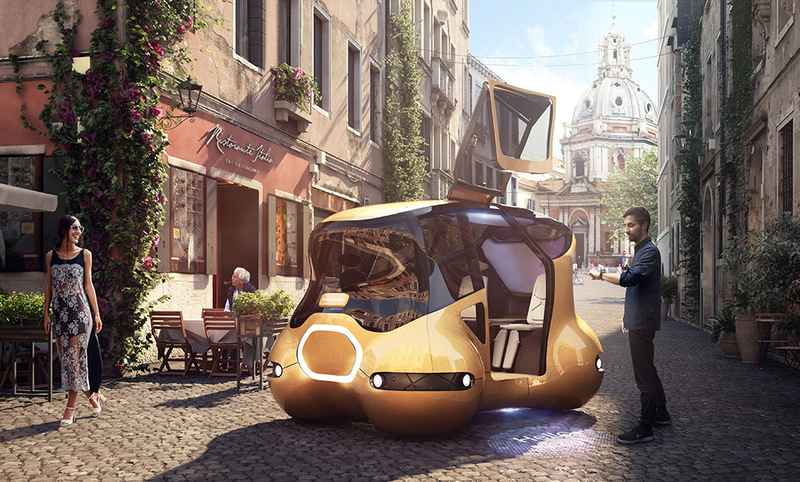 The system’s autonomous driving also enables Mobuno to make better use of already limited parking area. 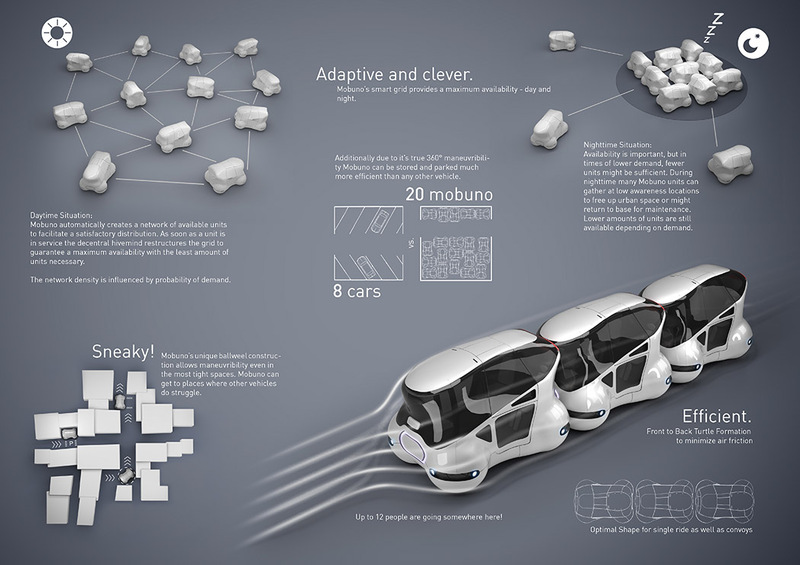 Mobuno autonomous cars communicate with one another to squeeze tightly and will rearrange to dispatch and accommodate more units. 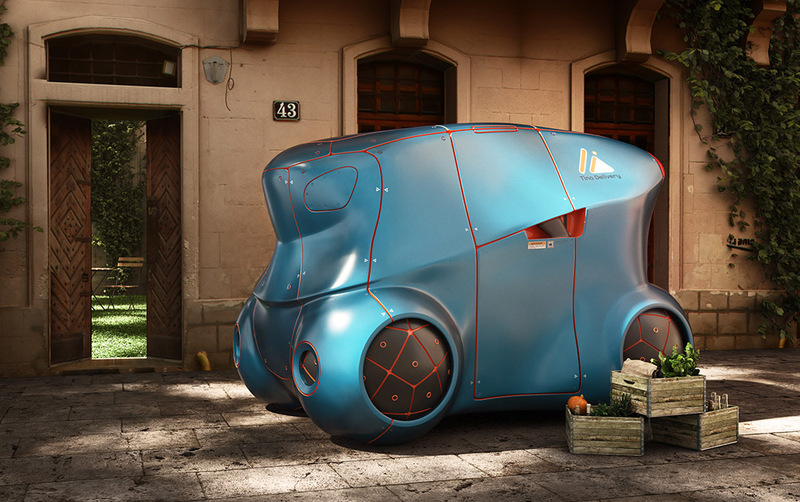 And if you’re interested in great concept cars sure to check 15 Best Concept Cars of Largest Automakers.